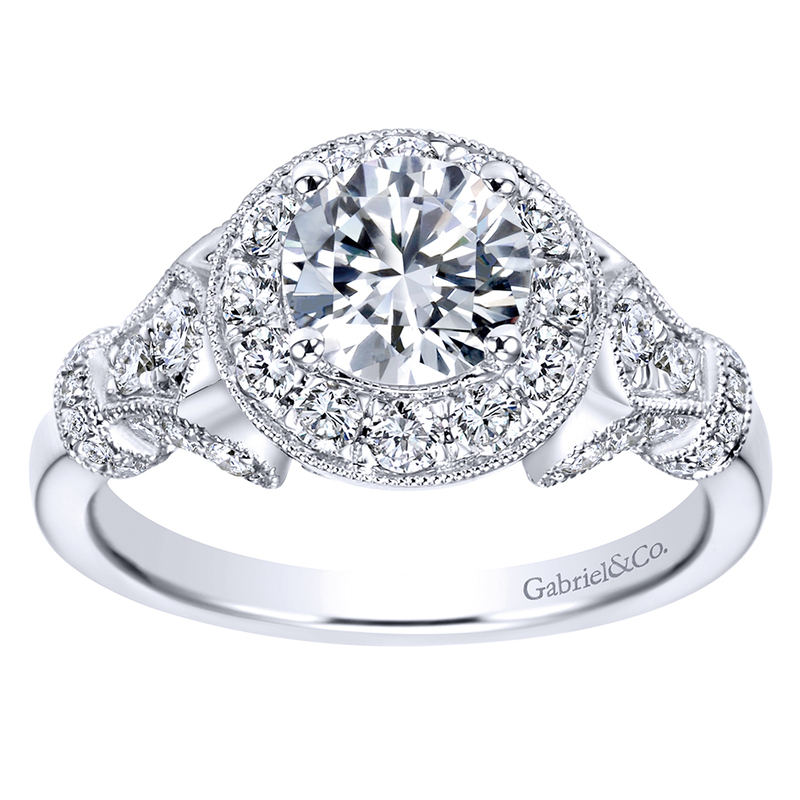 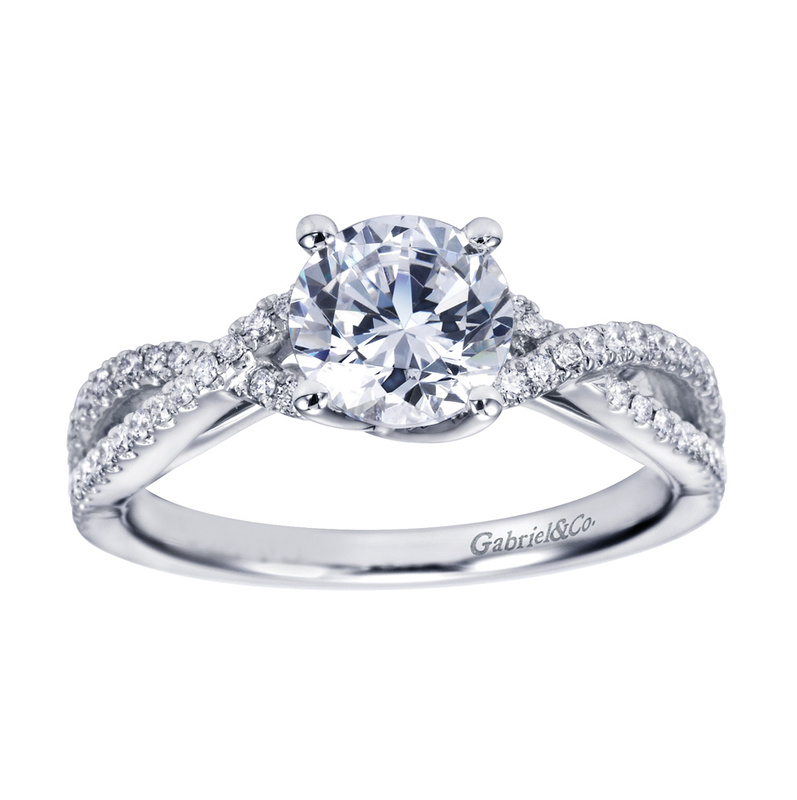 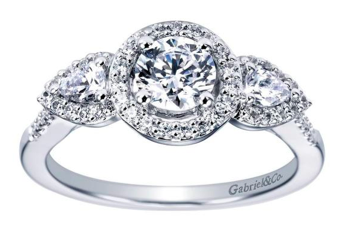 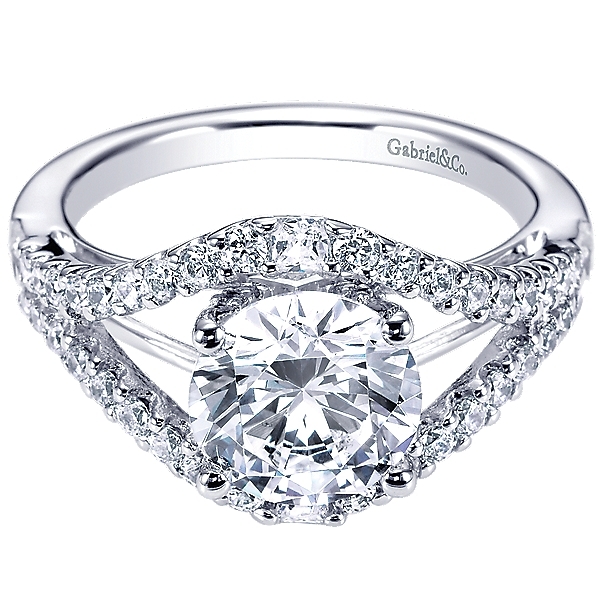 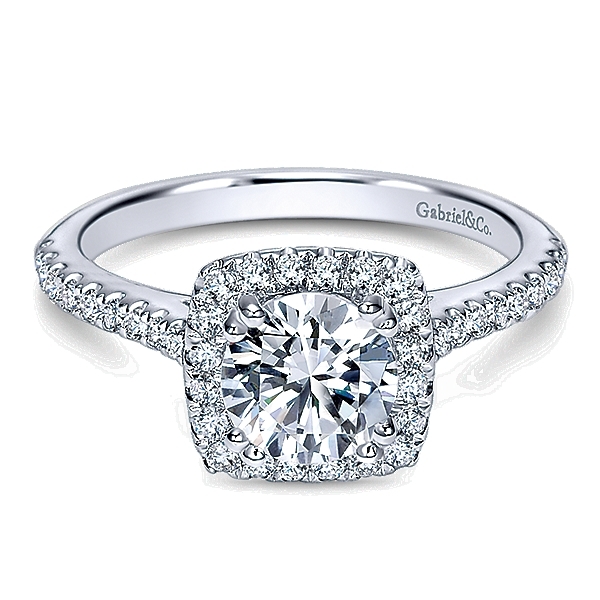 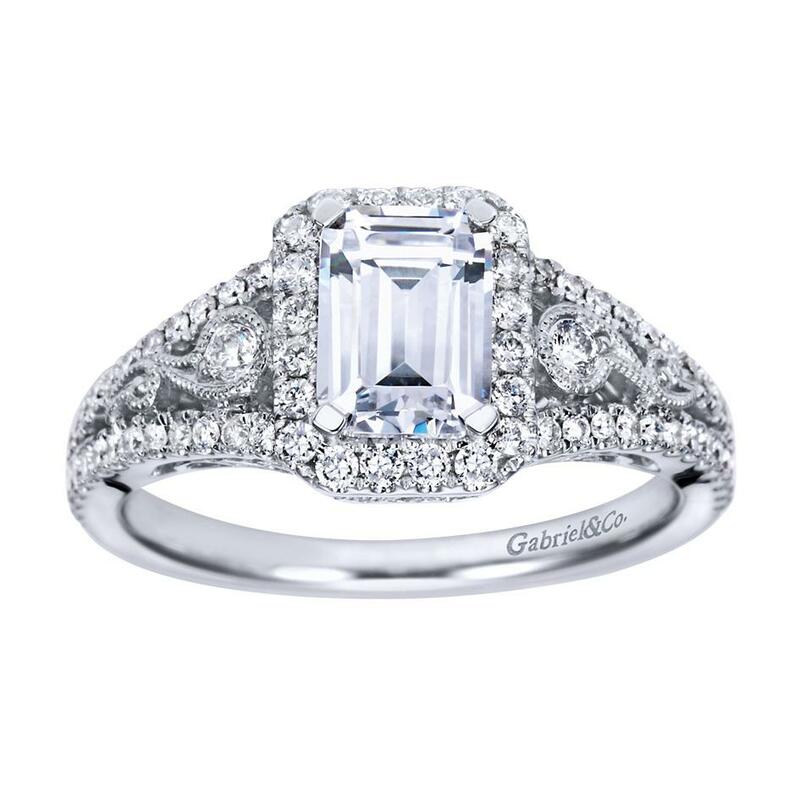 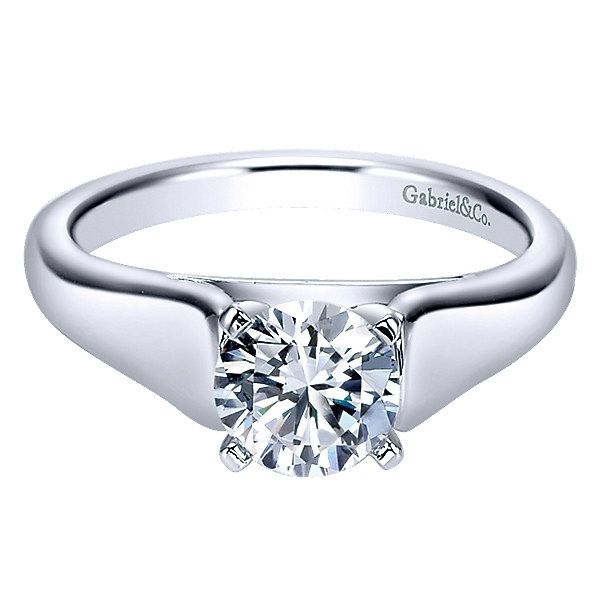 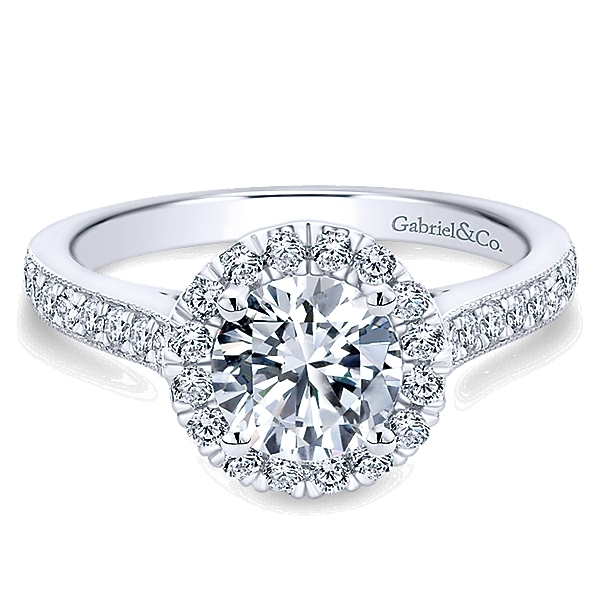 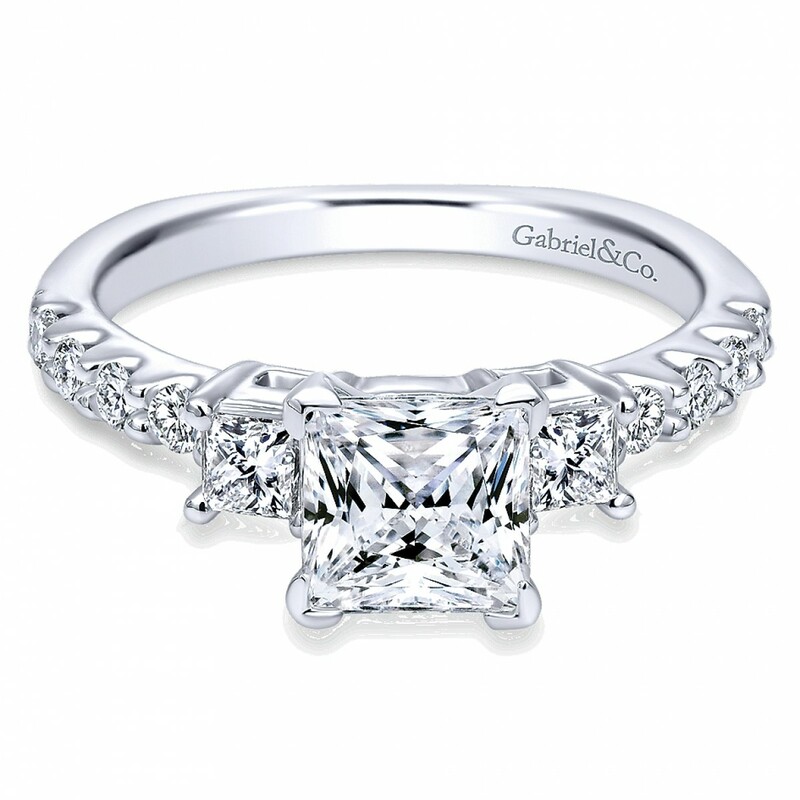 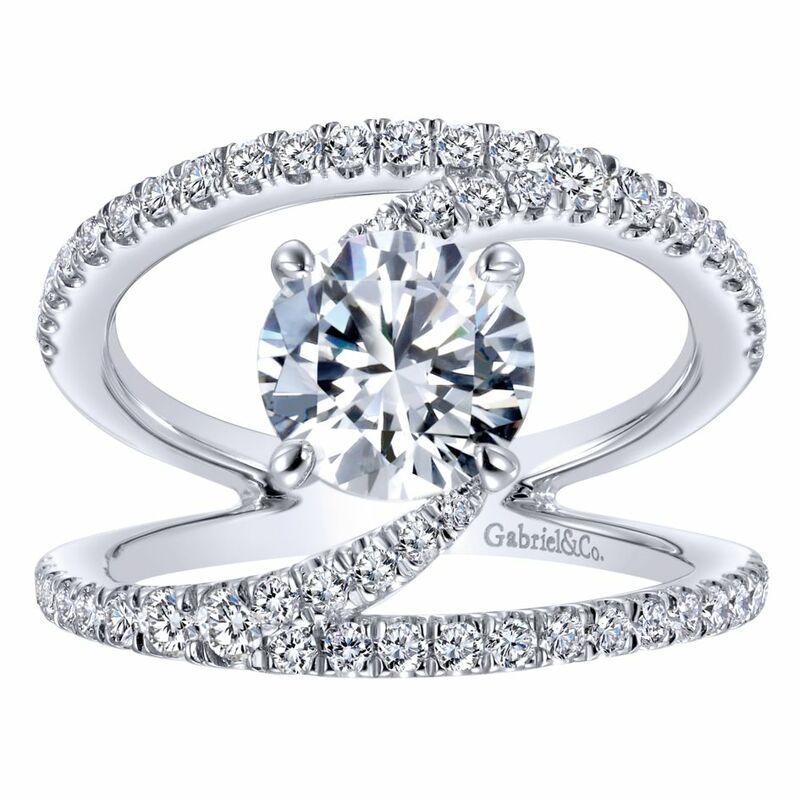 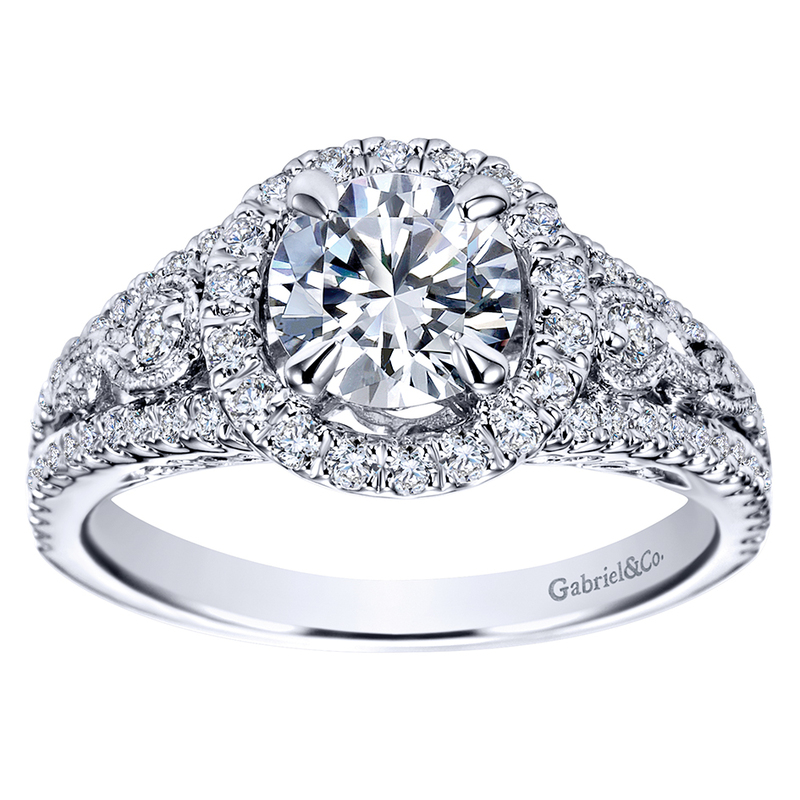 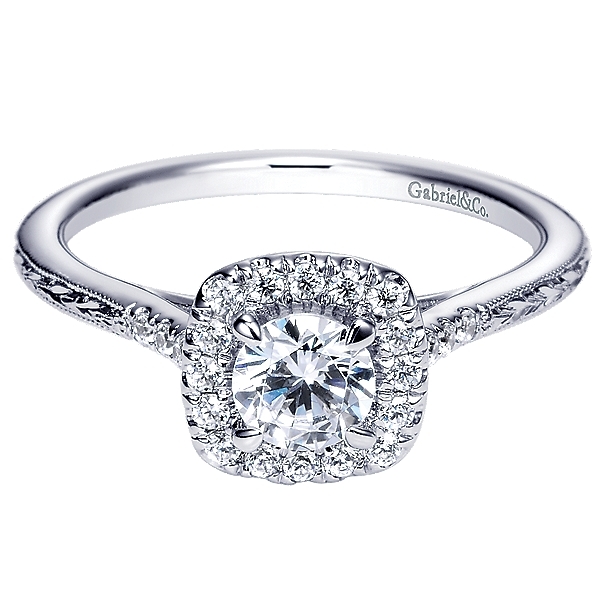 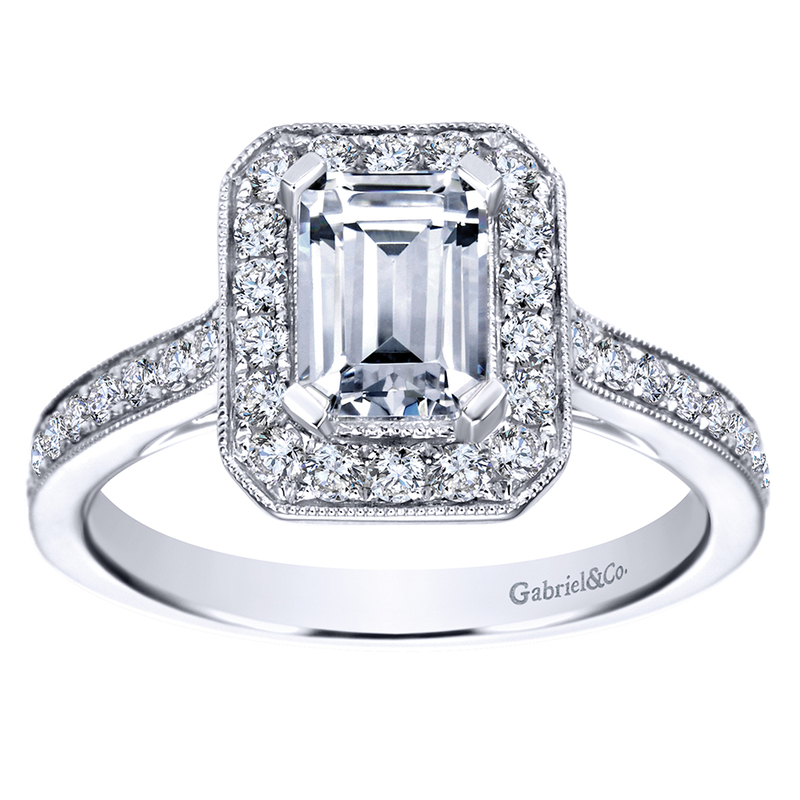 This Gabriel & Co Pave Set Emerald Halo Engagement Ring is a unique find for a classy look. 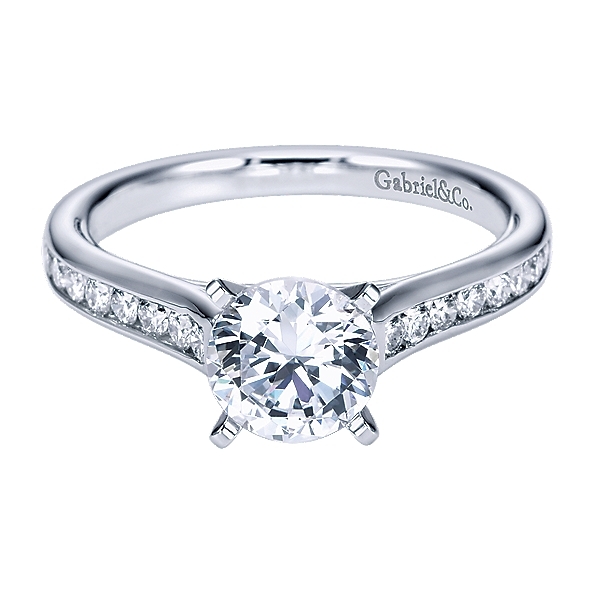 Style ER77528 offers clean lines with a great deal of fine details. 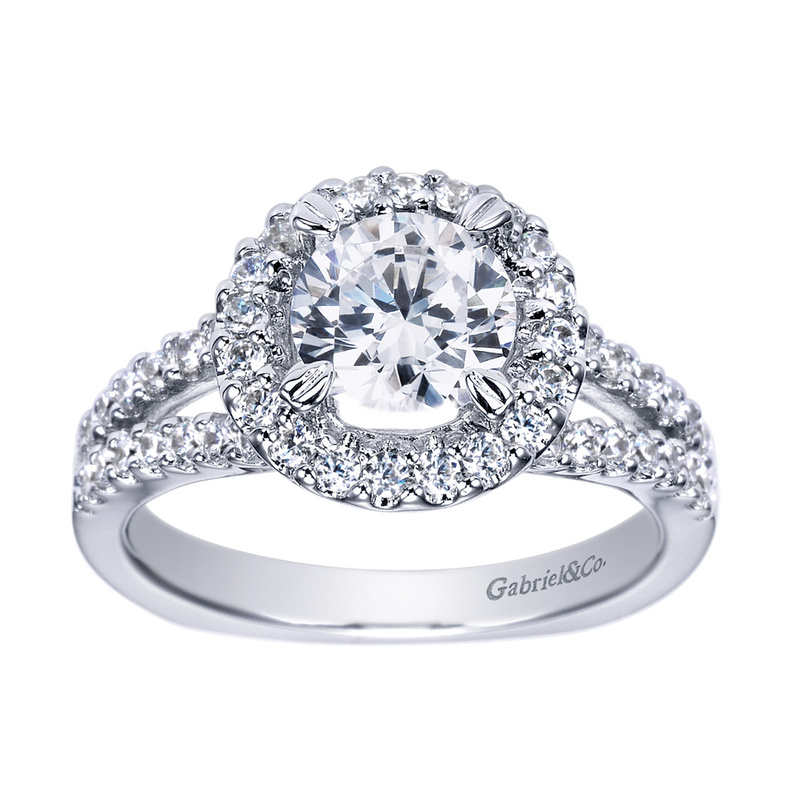 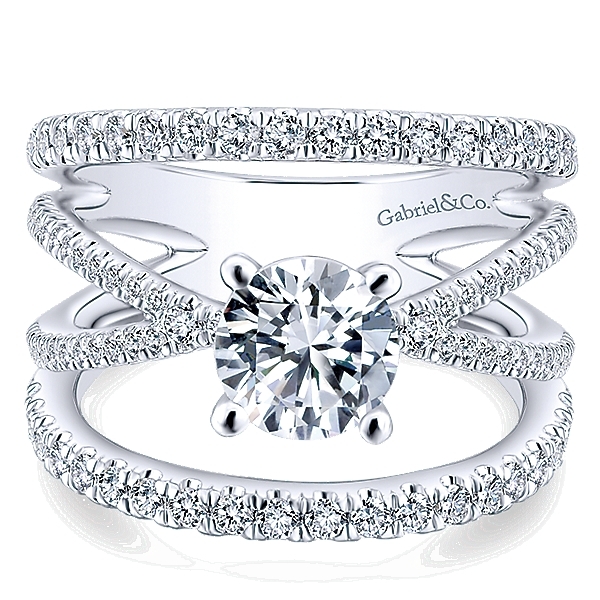 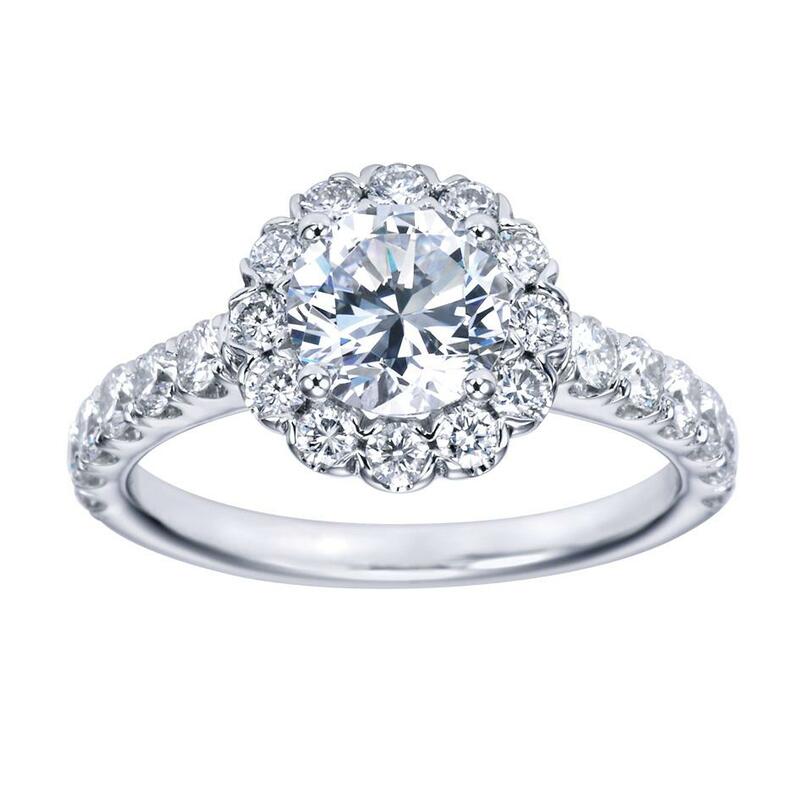 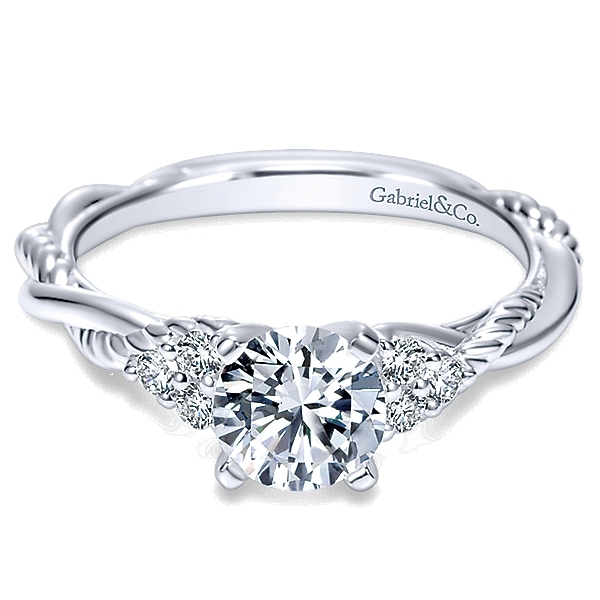 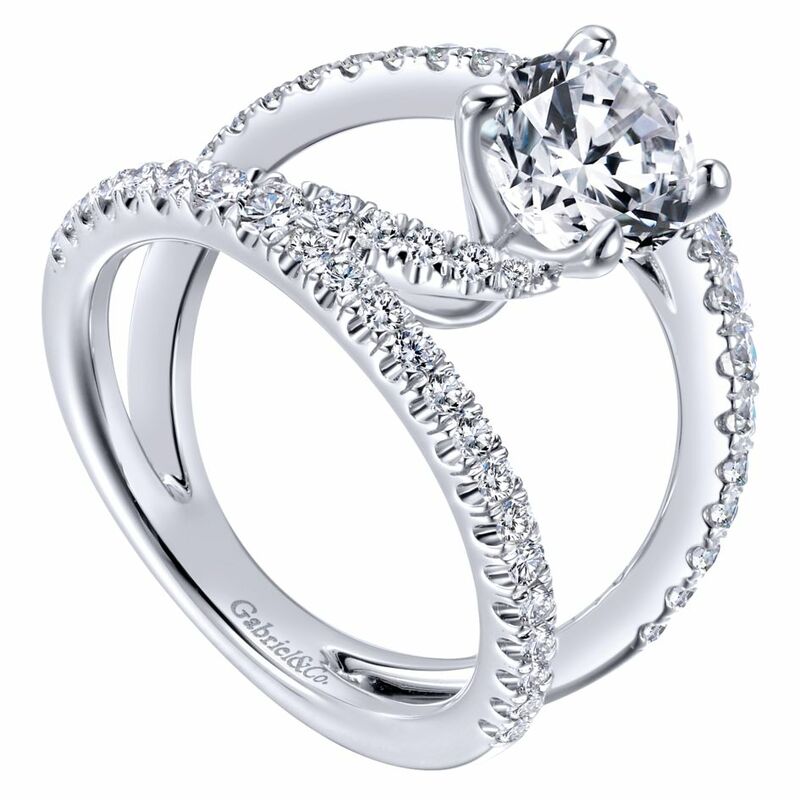 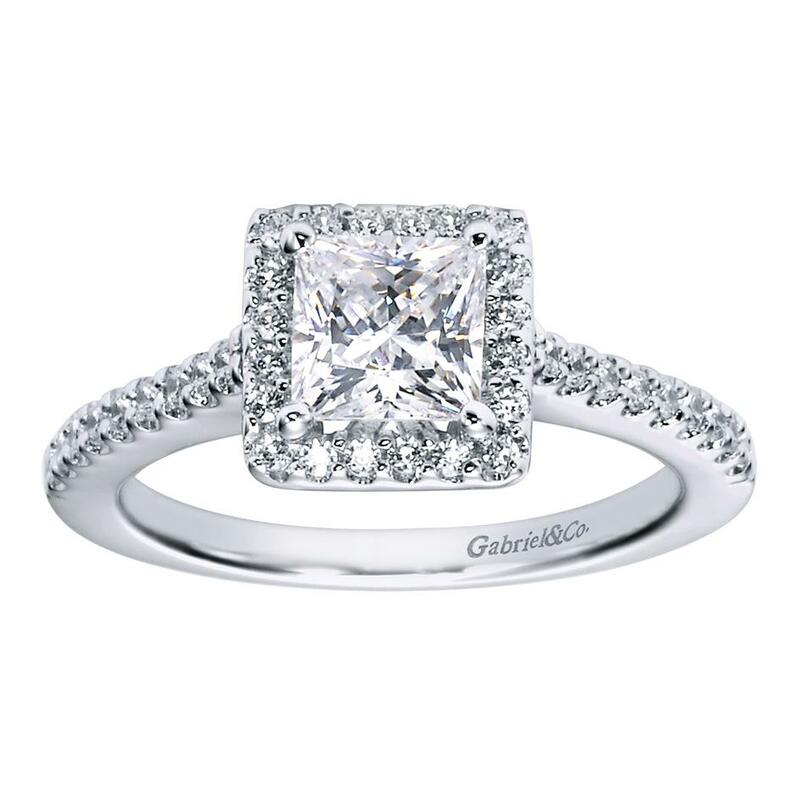 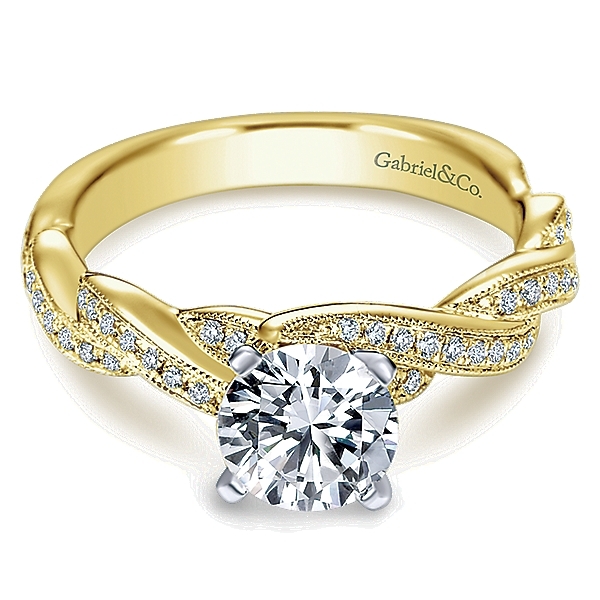 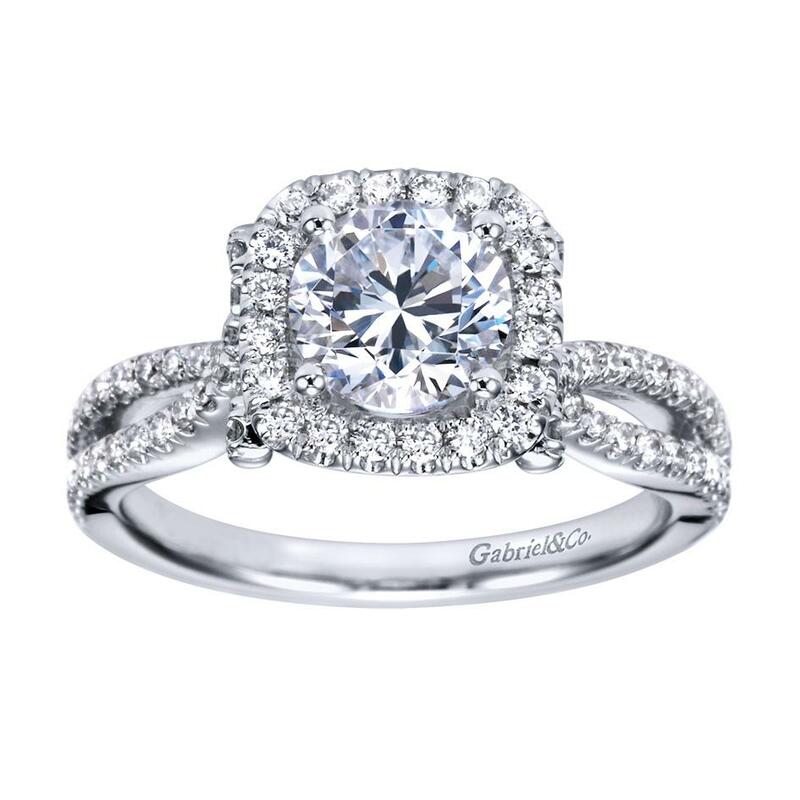 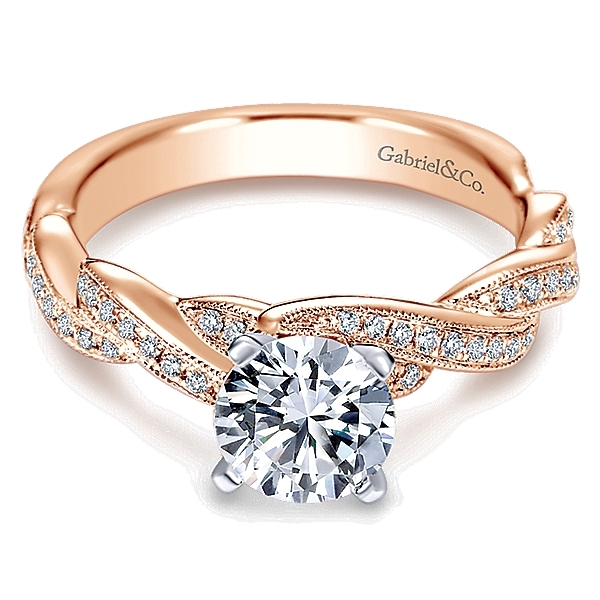 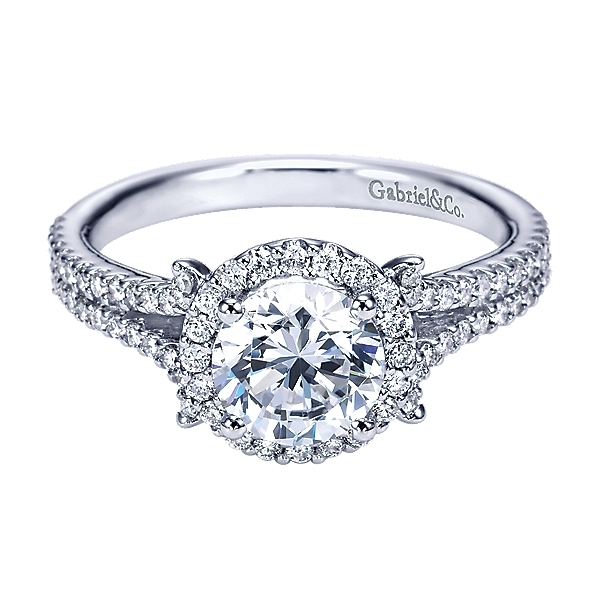 This Gabriel & Co Twist Pave Halo Engagement Ring is sure to dazzle with it’s intricate design. 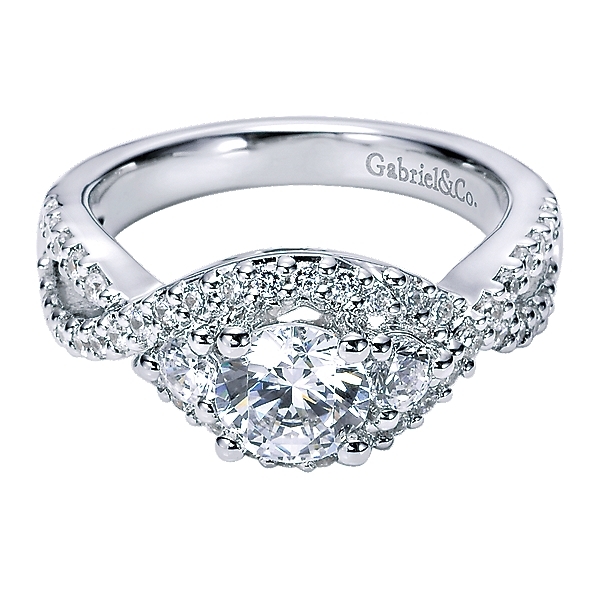 This stunning mounting includes 54 divine diamonds with an opening for a .67ct centerpiece and a variety of material options.